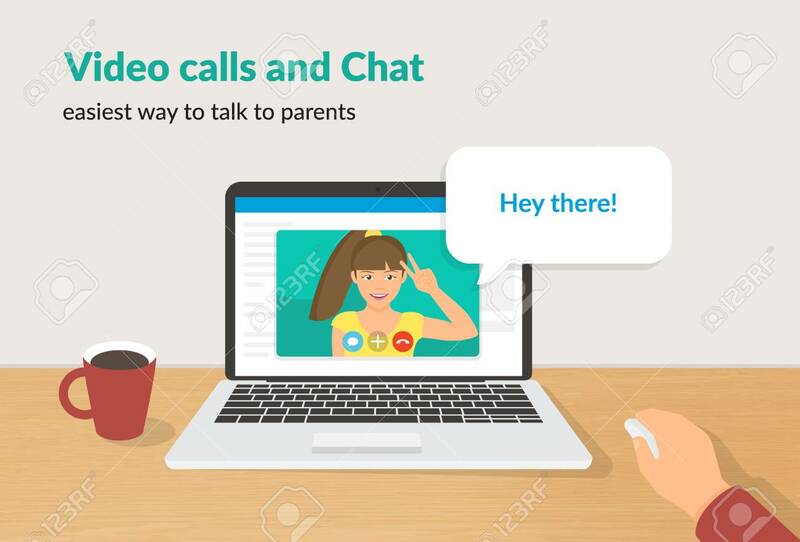 Video Calls And Chat Concept Flat Vector Illustration Of Happy Girl Talking To Her Parent On Laptop Screen With Speech Bubble For Message. Distance Video Calling And Online Communication For People Lizenzfrei Nutzbare Vektorgrafiken, Clip Arts, Illustrationen. Image 102504724.